Our automatic dual take-ups are known for high reel change-over reliability in any application at top line speeds. The dual take-ups are designed to work independently from line controls, therefore providing an easy adaptation and a fast plug & play installation to any line. 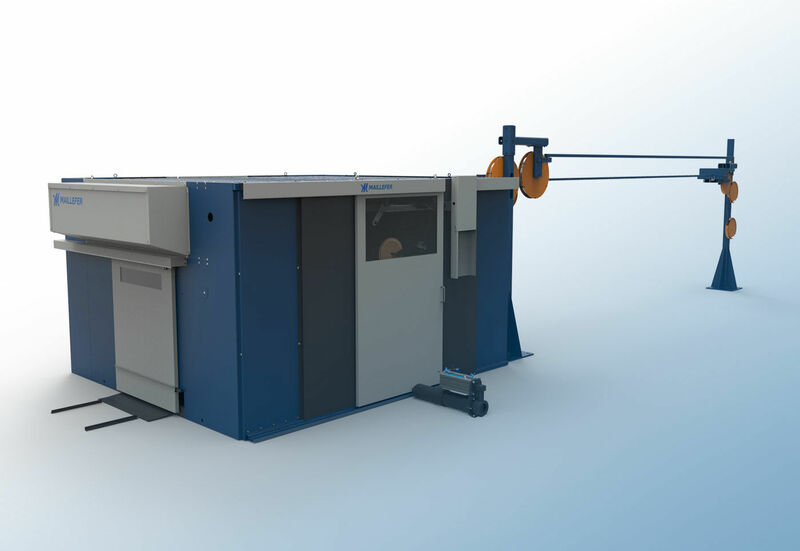 The Automatic Dual Take-up EKP 1300 is designed to serve versatile applications in building, installation and special wire and cable extrusion lines. Thanks to high modularity the EKP 1300 is available in different performance and automation levels according to the customer's production requirements. Lay-out flexibility and upgradeability enable later-on modifications of the machine and adaptation to production changes. Downtime and the need for maintenance are minimized through a careful choice of components and the use of up-to-date technology. Self-diagnostics of the EKP 1300 enables a quick troubleshooting. Additionally, an easy access to service points together with the overall ergonomics and safety features create the best working conditions for the operator. The take-up is designed to work independently from line controls, providing an easy adaptation to any line as a result. A higher automation level of the line can be reached by integrating it into line control by signals. To guarantee a fast start-up, the machine is delivered with tested interconnection cables. It passes a thorough testing with wire in full speed and also with customer reels, if available six weeks prior to shipment.